AMEE, a company that provides Internet-based calculation and storage of the carbon footprints, has received ‘substantial’ Series A funding from O’Reilly Alphatech Ventures (OATV), Union Square Ventures (USV) and The Accelerator Group (TAG). Best Buy, the US consumer electronics retail giant, is intending to buy 50% of Carphone Warehouse’s retail operation for £1.1 Billion. Best Buy and Carphone Warehouse have known each other for a while, as CW have been selling mobile phones in concessions within Best Buy’s shops in the US over the last two years. ZYB, a service that lets you backup your mobile phone contact and access them on the Web, has branched out and made a company purchase. They’ve bought a Danish mobile social networking company, Imity, for an undisclosed sum. The next twist in the Microsoft wants Yahoo story has just come to light. Yahoo has filed a Form 8-K with the US SEC saying that after a jolly good think about it, Yahoo has decided that Microsoft’s unsolicited proposal to purchase them is not in the best interest of Yahoo. Here’s a copy of the letter in full between Steve Balmer and the Chair and CEO of Yahoo, for your delectation. Microsoft:Yahoo Merger Officially Floated – Holy Moly!!! H O L D the phone! 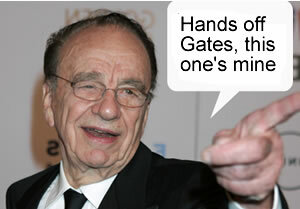 Microsoft are reporting that they will be making a offer to purchase Yahoo for approx $44.6 billion in cash and stock. This is not a joke, repeat, this is not a joke. It’s on the Microsoft site! 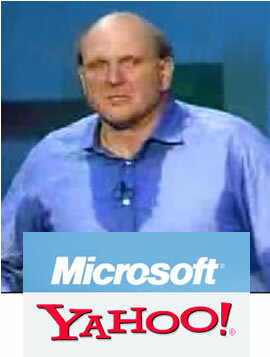 Continue reading Microsoft:Yahoo Merger Officially Floated – Holy Moly!!! Posted on 1 February, 2008 11 February, 2008 Author Simon PerryCategories Investments, Microsoft, Yahoo4 Comments on Microsoft:Yahoo Merger Officially Floated – Holy Moly!!! 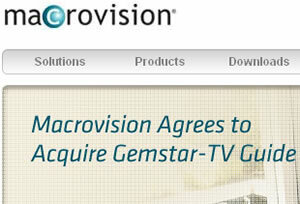 Macrovision, content protection company, has agreed to purchase TV listing company, Gemstar-TV Guide International in a cash and stock transaction with a value of approximately $2.8 billion.